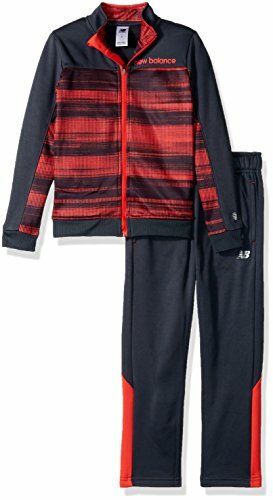 Boys New Balance active wear is designed to keep him in style on the run and comfortable at naptime. 2 piece set includes surgent fleece full zip jacket and pant, both with bar tacks and heat transfer reflective NB Logo. Perfect for layering or worn alone all-year long.